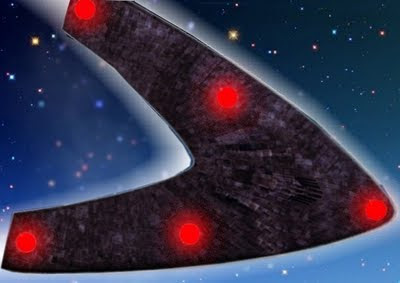 Latest UFO sighting – Strange unknown black V-shaped object recorded from the plane on route Manchester, England to Sofia, Bulgaria on January 30, 2010. “On a flight from Manchester (england) to Sofia (Bulgaria) om 30/01/10, my daughter was watching the sun set when she said to me “dad whats that black thing?” I looked out to see what looked like a strange small vapour shape, in an otherwise cloudless sky, that appeared to be moving in an opposite direction to us. As we watched, the shape suddenly did a 180 turn on its nose with its vapour trails arcing over to fall back behind its nose to continue travelling in the same direction as us. WOW!! amazing!<br />this footage is freaking me out!!! Impressing. i would say tr-3b.<br />lines of shape are to good to be just a cloud!